Check out this short video to see why Klean Gutter is right for your home. Are you sick of cleaning your own gutters? Do you hate ladders and heights? 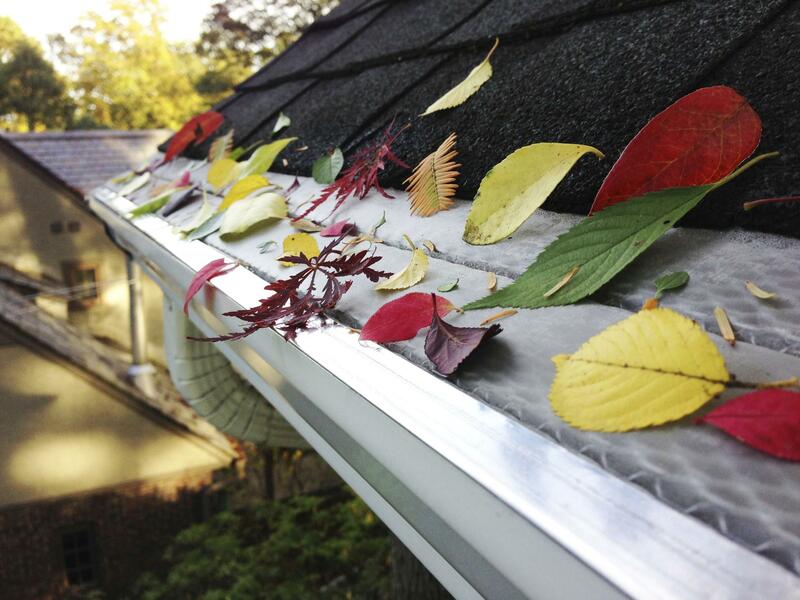 Let us keep them clean for you with a gutter cleaning maintenance program When we clean your gutters, we'll check to make sure your downspouts are draining properly, and when we're done, you won't find leaves and debris all over the place. We'll clean up in such a way that you almost wouldn't know we were there! AND, if you pay in advance for the year, you get a nice discount and most of all, peace of mind. Don't want to spend the money and the hassle of gutter cleaning, year after year? You might be interested in a quality gutter guard system! Proper gutter protection is the best way to keep leaves, dirt, and other debris from clogging your gutters, saving you the hassle of regular cleaning and can literally save you thousand of dollars in fascia board and gutter replacement. Are your gutters clogged and overflowing? TLC Window Cleaning Service has got your back. There's no better choice than TLC Window Cleaning Service for solving the gutter problems that are plaguing your residence. We pride ourselves on a commitment to industry leading workmanship, the hands-down best product on the market and top-notch customer service. When you come to TLC Window Cleaning Service you can expect work that will stand the test of time...and weather. Clogs and overflows will be a thing of the past. You will literally NEVER have to clean your gutters again. Don't hesitate! Reach out to us online or by phone to schedule your gutter protection estimate!